Here is the winner in the low-priced field. 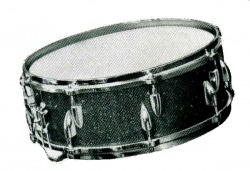 This snare drum features sturdy laminated shell, 16 spring-loaded self-aligning tension units, and floating head counter hoops. Available in a choice of pearl finishes: Black, Red, Blue or Marine Pearl. 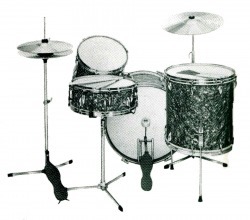 Sturdy but light weight laminated wood shells, spring loaded self-aligning tension units, and floating head counter hoops. 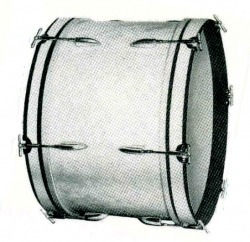 One of the lightest and strongest Bass Drums made today. Fitted with 12 spring-loaded self-aligning tension units with tensioning handles. Specially selected heads.